These offers are free with the purchase of the BSA Champ Supercat 14 (2016) Bicycle. A brand from TI cycles, India - BSA is defined by values such as Freedom,Fun, Energy, Style, and Comfort - which makes it one of the most familiar and loved brands. Offering consumers an extensive range of bicycles and mobility products, BSA has something for everyone – kids, teens and adults! The BSA Champ Supercat 14 (2016) features a low step-through frame and an integrated carrier. The frame also features eye-catching graphics. The wheels on this bicycle are 14" wheels on colorful rims. The Price of the BSA Champ Supercat 14 (2016) is Rs.2810. 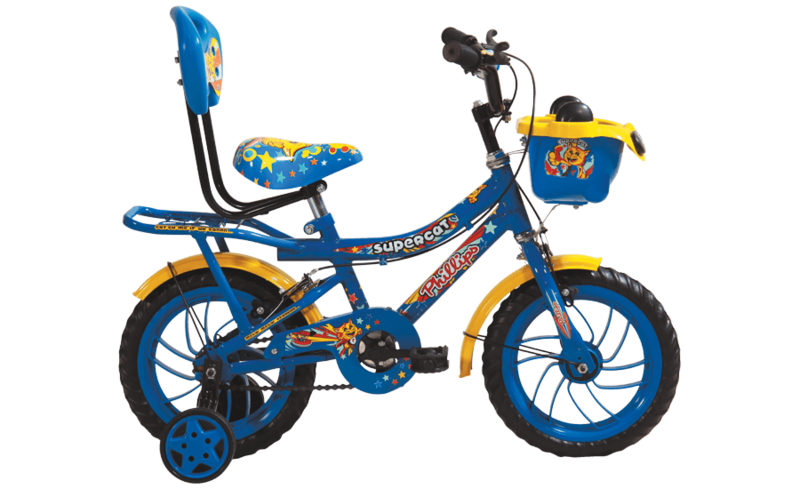 The BSA Champ Supercat 14 (2016) is an ideal beginner,learner bicycle for toddlers aged between 3 and 4 years old. 2. In what condition will I get the BSA Champ Supercat 14 (2016)? 6. How will I know if BSA Champ Supercat 14 (2016) will fit me without riding it? 7. How long will it take for me to receive the BSA Champ Supercat 14 (2016)?